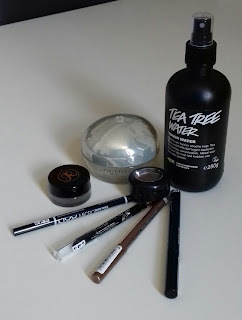 August has passed and that means two things: we're living in the ninth month of the year, which means that in three months (when it's time to open up a new tube of mascara, *wink wink*) 2017 is over and that it's time for a August Favorites post! I can't believe how fast this year is passing and that the summer holidays are over already. I really enjoyed having no worries for a few months. But now I have to get back to work! Well, actually, I still have two free weeks left, but since everybody is starting school/study/work already, it doesn't really feel like summer holidays anymore for me. That doesn't mean I don't enjoy my resting two free weeks, though! Let's start with skin care. I have oily/combi skin. My T-zone gets very greasy during the day and my cheek area is normal, sometimes dry. I have large pores on my face and nose and when I don't really give that extra moisture to my skin, the texture looks uneven and dull. I noticed that when I stop using face masks once a week, my skin looked less radiant and healthy. 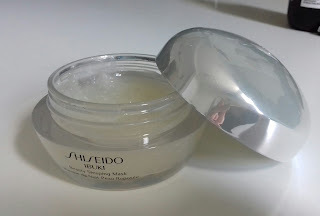 Sometimes I am that lazy that I don't really feel like putting on a face mask, even though every time afterwards I absolutely regret nothing..
That's why I started using my Shiseido Ibuki Beauty Sleeping Mask again. Like the name already is hinting, it's a sleeping mask. You put it on before you go to sleep and the next day you wake up with very hydrated and happy skin. It's a gel with vitamine capsules in it (the white thingies), which melt when you apply the gel to your skin. Application feels amazing and the scent is amazing too. It has perfume in it, but I don't really mind. When I wake up and remove the residu my skin looks fresh and radiant, my pores look less deep and I love it! I think it also is ideal for a moisture boost for your skin when you're having a bad skin period. 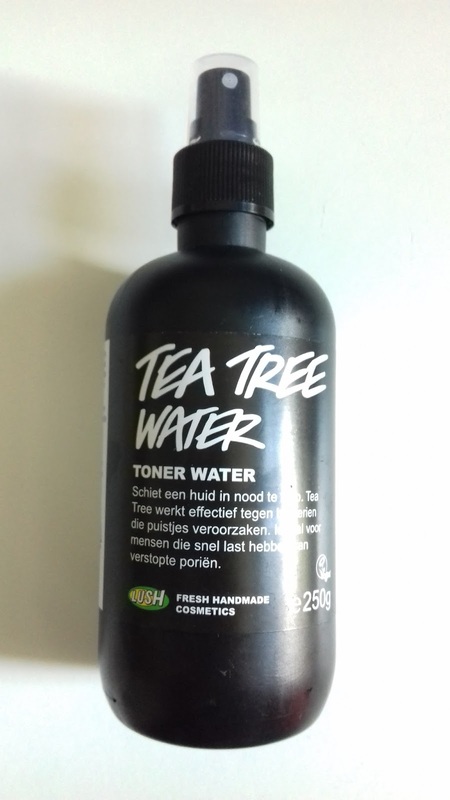 Next: Lush's Tea Tree Water! This is my second bottle, I got this one as a gift. It's not that it's in my favorites because it's working that great for calming my skin, but the toning step in my skin routine. I use it when I'm done cleansing my face. I spritz it on my face and I love love love the refreshing feeling it gives. It sure does leave a fresh feeling, but it also says to fight impurities and clogged pores. 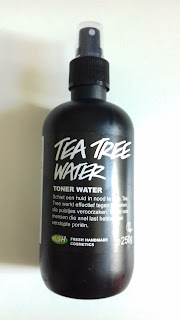 For me, only using this toner for my impurities and clogged pores is definitely not enough. After cleansing my face in the morning and night I spray it on my face (not sparingly) and let it almost completely dry before I continue with my skin care routine. Another favorite this month was the Maybelline Master Precise Liquid Eyeliner Pencil. If you follow me on Instagram, you know this was the very first liquid eyeliner pencil I ever used and I still love it! 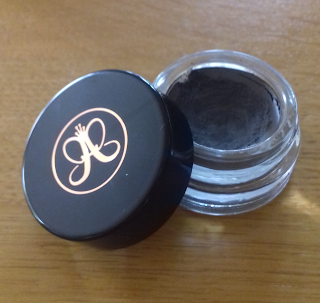 The felt tip is fine, I think it's the perfect size in length and width and it leaves a solid, black line with one touch to the upper lash line. As you might have seen in my summer haul, I bought the NYX micro brow pencil. It has a very fine tip, just like the Anastasia Brow Wiz. More and more brands are bringing out brow pencils with micro tips, but I hadn't stumble onto one until I went to the NYX shop in Madrid. The tip is very fine, which makes it easy to draw the outline of your brows. Too bad I don't think the color is a great match for me. I think it has a bit too much red in it, which makes my brows a bit too fake for my liking. After using eyebrow pencils for a while I rediscovered the Anastasia Dipbrow Pomade in August. I was not really feeling my make up for a while and got very lazy, so dipping my brush in the pomade and drawing my brows were a too big of a task for me (yes I'm weird), so I liked pencils better the months before (also easy with traveling). Though for me the pomade is not water and smudge proof as it claims, but it has a better staying power than the pencils I have been using. When I was using the eyebrow pencils, my brows were not really defined anymore at the end of the day, they were more of a blur or something. It kind of looked like a mess. ... or maybe I should prime my face better. 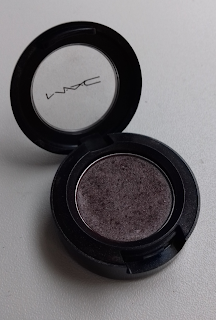 This one I am using so regularly that it's not really a favorite, but more of a habit. The Rimmel Scandaleyes Waterproof Kohl Kajal. It's one of the few eyeliner pencils that don't smudge on me. Somehow almost every eyeliner without super lasting power smudge. Even when I'm only using it on my upper waterline/tight line, it smudges over my entire under lash line to the ends of my puffy under eyelid. I know, great explanation. I also put it on my lower lash line and pat a little bit of MAC's Satin Taupe on the outer corners. I really like the soft look it gives me instead of a harsh black line, which I have been doing for years.